When asked what types of jobs interest him, the response was enthusiastic and immediate. “Fixer. Repairman. Handyman. 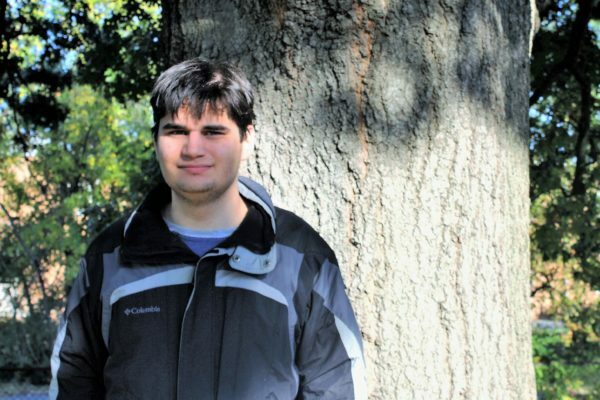 Mechanic,” said Reed, a student in UMFS’s Courage to Succeed program, which helps students with autism or other neurological differences work toward a college degree, find work in their chosen field and ultimately learn to live independently. “I like to fix things,” he said. 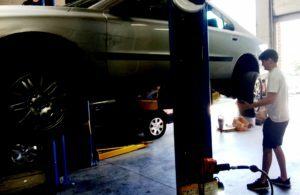 And the 21-year-old with the penchant for repairs had the opportunity to do just that when Cabin Creek Auto took him on as a paid intern for a few weeks this summer. Owner Joseph Andrew Price Jr. — known affectionately as “Bubba” by customers and friends — helped arrange the internship. Reed’s parents have been Bubba’s customers for years. Bubba learned auto repair from his father, Joseph Sr., and has been practicing the craft in Richmond for more than 46 years. Ten years ago, he opened Cabin Creek Auto, where he works with his sister, Shirley; adopted-son, Joey; and family friend, “G”. Bubba’s wife helps out at the shop on Saturdays. Bubba is an experienced auto mechanic, no doubt, but he said the opportunity to work with Reed was unlike anything he’d done before. Kelly Magee, Social Coach with Courage to Succeed, said opportunities such as the one Reed had with Cabin Creek Auto are valuable beyond the skills they teach. Visit Courage to Succeed online to learn more about the program.